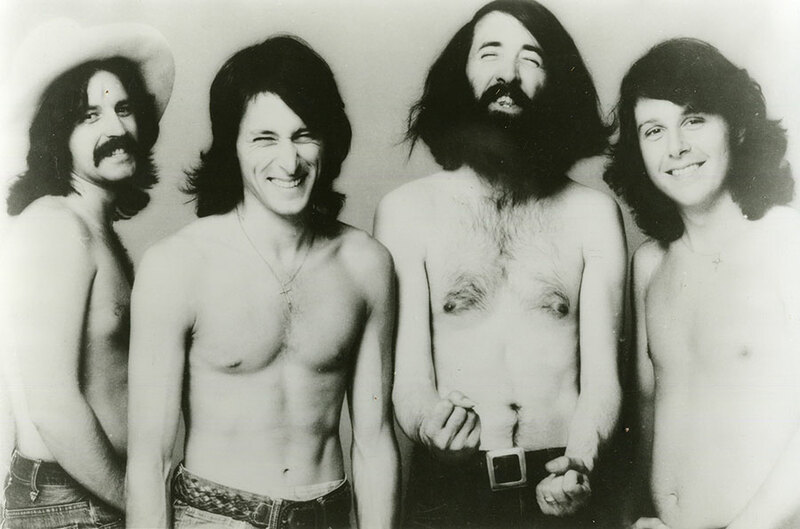 Coming out of the fluid California scene of the late 1960s, the pioneering Nitty Gritty Dirt Band was initially an acoustic jug band. With a core of Jeff Hanna, Jimmie Fadden and string wizard John McEuen, they hit upon a rustic Americana style that allowed them to be as comfortable playing the folk-pop Top 40 hit “Buy for Me the Rain” as they were with Gay Nineties tunes or banjo instrumentals. They filmed the 1969 musical western film Paint Your Wagon starring Clint Eastwood and Lee Marvin. With Les Thompson and new kid Jimmy Ibbotson rounding out the lineup, the band played to enthusiastic crowds at their shows in early 1970 at Denver’s Marvelous Marv’s. In 1971, the band left Los Angeles to relocate in the Colorado mountains, the members settling into their respective wooded communities. The move was perhaps the singular most important element contributing to the Nitty Gritty Dirt Band’s rise in stature, both commercially and creatively. Success arrived with the band’s fifth album, Uncle Charlie and his Dog Teddy. The thread of Hanna and Ibbotson’s acoustic guitars and brother-like harmonies, McEuen’s banjo, Thompson’s mandolin and Fadden’s utilitarian prowess gave them a unique sound. Hanna’s take of Jerry Jeff Walker’s “Mr. Bojangles” made the Top 10 pop charts, and the follow-up singles “Some of Shelley’s Blues” and “House at Pooh Corner” were also hits. That eclectic album was listened to by the children of traditional country music icons Earl Scruggs, Doc Watson, Maybelle Carter and others, including Jimmy Martin from Bill Monroe’s Bluegrass Boys. As new Colorado residents, the Nitty Gritty Dirt Band went to see the Earl Scruggs Revue perform in Boulder in the spring of 1971 at Tulagi. It was Scruggs’ picking that had made banjo a lead instrument over two decades prior, giving bluegrass a distinctive style. McEuen apprehensively asked Scruggs if he would consider recording with the Dirt Band. Scruggs said he’d be proud to. The next week at Tulagi, Doc Watson also enthusiastically consented to take part. The collaboration led to Will The Circle Be Unbroken in 1972, under the aegis of McEuen’s brother and band manager William McEuen out of Aspen. Risking their chart success, the band outlined plans for recording a selection of traditional country numbers to be performed in conjunction with the original musicians who had greatly influenced them. Some of the old-time greats were at first skeptical at first of the Dirt Band members and their amplified instruments. The long-haired musicians had their own preconceptions. Common ground was found when the traditional musicians saw how respectful the Nitty Gritty Dirt Band was toward them and their work, as well as how serious the young players were about their own music. The geographic transition to Colorado had brought an immediate host of fresh, attentive new faces to the front of stages, the personification of all the things the band stood for conceptually, and locals claimed the group for their own. The band recorded a string of classic albums in Aspen and at Caribou Studios near Nederland. In 1976, after Russian and U.S. State Department dignitaries were sent to see the band in Colorado, the Dirt Band became the first American group selected by the Soviet government to tour the USSR, spending a groundbreaking month in Russia, Armenia, Georgia and Latvia playing to live audiences and appearing before an audience on Moscow Television of an estimated 145 million people. Nitty Gritty Dirt Band members came and went. Bob Carpenter, based in Aspen during the 1970s with the band Starwood, joined the Nitty Gritty Dirt Band and became an invaluable addition on keyboards and vocals. The back-to-back hits “Make A Little Magic” with Nicolette Larson and “An American Dream” with Linda Ronstadt, both released under the name the Dirt Band, made the Top 20 pop charts. The Nitty Gritty Dirt Band was then recast as a hugely successful charting country band. Manager Chuck Morris, whose attention had been trained on concert promotion in Denver, steered the band onto country radio. The band eventually had 15 consecutive Top 10 country songs. Originally recorded in 1983, “Colorado Christmas” has remained a radio staple around the holidays. In 1986, the “20 Years of Dirt” anniversary concert in McNichols Arena in Denver was a sell-out, with guests such as Ricky Skaggs, Emmylou Harris, Doc Watson, John Prine and others. By the 1990s, Ibbotson was the only member who remained in Colorado, and he left the band after a tour in 2004. The Nitty Gritty Dirt Band continued to record and tour, celebrating “50 Years of Dirt” in 2016.